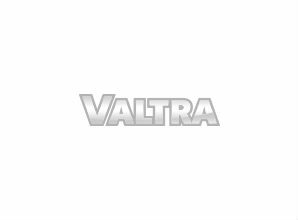 The pedal tractor has Valtra’s fourth generation appearance and metallic red color. The two-wheeled trailer has elevated sides to carry a big load. If needed, the trailer can be detached. Behind the seat is a raoll bar that is also removable. Length 162 cm, width 54 cm, height 66 cm. Net weight 12.5 kg. Maximum load 50 kg. Recommended age 3–7 years. Manufacturer: Plastiques Falquet & Cie.